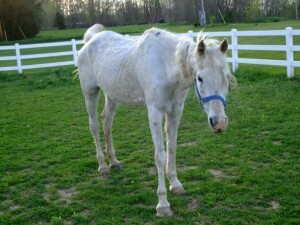 A Thoroughbred is a breed of horse and should be capitalized when used. A purebred is any breed of horse whose dam and sire are the same breed. The Thoroughbred horse was developed in the 17th and 18th centuries. It was bred for speed, strength and stamina to compete in horse racing. While used today mainly in racing, the Thoroughbred also takes part in jumping, dressage, barrel racing and other events. 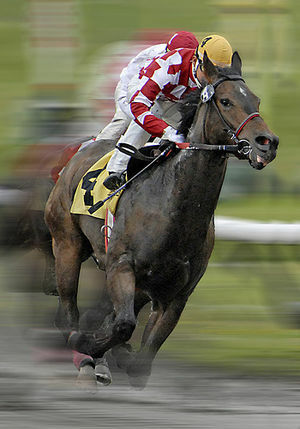 Since Thoroughbreds can run long distance, they are sometimes used at stud with other breeds hoping to pass on this trait. 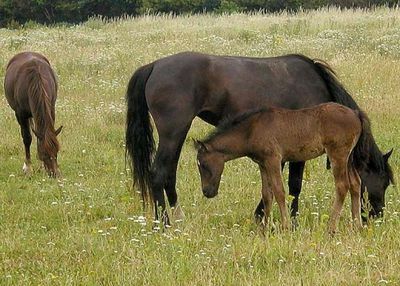 Cross breed horses have two parents of different breeds and are known. A “grade” horse is of unknown parentage. It is considered unethical to breed grade horses.